Nothing can match the experience one goes through by spending a day on the water in Puerto Vallarta. The sun shimmers off the glass-like water as the humpbacks leap and curious dolphins come to see who's here. A private Yacht Rentals in Puerto Vallarta is a great way to enjoy many water-based sports activities. Our customizable, unique Puerto Vallarta boat rental and trips allow you to experience the adrenaline rushing activities. If you want to scuba dive or snorkel all day, we'll make sure you encounter a wide variety of marine life. If you want to swim along with dolphins or wish to do whale watching, we know all the popular places. And our on board cocktails and music only add to the luxury and relaxation you'll feel on one of our luxurious Puerto Vallarta boat rentals. Snorkeling – Snorkeling is a popular activity in Puerto Vallarta. Whether you want to snorkel off the beach or on a hidden island, hop on your own private Yacht Rentals in Puerto Vallarta, and you'll surely enjoy it. The warm Pacific waters allow snorkeling all year round. Although there is no reef in Vallarta, you will still be amazed by the spectacular beauty underneath. While snorkeling you can encounter the abundance of marine life such as giant manta rays, dolphins, sea turtles and schools of tropical fish. You will also more than likely see angelfish, cornet fish, puffer fish, and parrot fish. Along with these brightly colored fish, you may also see moray eels, spotted eagle rays, starfish and seahorses. If you're lucky you might hear the songs of humpbacks underwater or watch them jumping in the beautiful Puerto Vallarta waters. Los Arcos - the protected marine park located near Mismaloya in the Bay of Banderas is the most popular place to snorkel in Vallarta. Marrietas Islands – home to rare species of bird: the Blue-Footed Booby is another great place to snorkel. Las Caletas and Playa Los Colomitos are the two most secluded beaches, where you can snorkel in a hidden bay. Swim With Dolphins – An opportunity to swim with the dolphins in their natural habitat in Puerto Vallarta is one such activity that is sure to please everyone during your vacation. The visitors always grab this golden chance to get acquainted with these intelligent mammals in their own saltwater pool. The bilingual staff on board the private boat rental in Puerto Vallarta will guide you through a brief orientation about the natural habitat and show you how to communicate and interact with the dolphins through hand signals. Your interaction with the dolphins will surely be a thrilling experience. The bottlenose dolphin pod spends the entire year in the region’s waters. 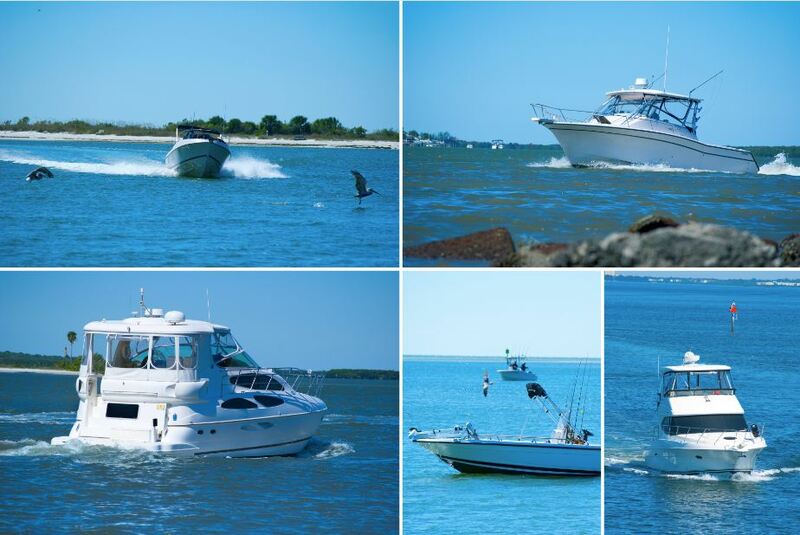 On board your boat rental, you'll be able to hear the magical sounds of the dolphins. Often times, young dolphins become the center of attraction due to their curious and extra friendly behavior. You can also come across other sea creatures including sea turtles, giant mantas and other dolphin species while the months from December to March feature Humpback whales and Orcas. This tour is designed for everyone. The entire family will treasure the memories of this remarkable experience! Scuba Diving – While in Puerto Vallarta, experience the thrill of scuba diving, where you can encounter the marvelous natural beauty of the underwater world along with beautiful and rich marine life. Considered a leading diving destination, Puerto Vallarta is famous for its stunning underwater volcanic rock formations stemming from plateaus called “torrecillias” and columns called “las Iglesias.” The warm waters of the Bay of Banderas offer clear visibility thus making Vallarta a popular diving destination. Sea life is abundant here which is why the divers usually encounter coral, humpback whales, bottlenose dolphins, manta and eagle rays, sea turtles, massive marlin and tuna. The diversity of the bottom structure which includes underwater caves and rock formations, and of course, tons of tropical fish is also quite attractive. The Great Pacific Mantas swim the waters of Banderas Bay between July and November. The dive sites located in the Pacific Ocean, such as El Morro, Chimo, Los Anegados, Las Iglesias, Potrerillo and La Corbeteña are considered a world class scuba diving destination. Shallow reefs, sloppy bottoms, small shallow coves, pinnacles, Volcanic rock formations, drift diving, blue water diving and cave diving is what all makes Puerto Vallarta popular amongst the avid divers from across the world. To learn more about the amazing scuba diving destinations in and near Puerto Vallarta, click the scuba diving options link provided here. Fishing – Located on the southern Pacific Coast of Mexico, Puerto Vallarta is a predominantly seasonal fishing destination. Puerto Vallarta’s Bay of Banderas is the largest natural bay in the country. It is so large that Humpback Whales come here to bear their young. The surrounding waters are also home to giant manta rays, sea turtles and dolphins. During the peak season, anglers can encounter some of the most popular saltwater fish species in the world. The Puerto Vallarta Sailfish Tournament is held here every November, and every December, and the region plays host to the World Billfish Championship. A diversity of fish species is what makes Puerto Vallarta so unique. The two famous spots of Vallarta to experience world-class fishing are Roca Corbetena – a series of protruding rocks and El Banco – a submerged high spot. Both rock formations feature sharp drop-offs and shallow reefs that attract huge numbers of resident fish species and migrating yellowfin, blue, and black marlin. Throughout the year, one can catch the Pacific Sailfish with a peak season occurring between November and April. From September onwards you can spot black marlin, blue marlin, dorado, and wahoo in the azure waters. Striped marlin call Puerto Vallarta its home because of the warm water. Whale Watching – Every year from the month of December until March, Humpback Whales arrive in Puerto Vallarta and Riviera Nayarit. During this season, whales leave the Arctic to visit places like Los Cabos and Banderas Bay, looking for a place to reproduce and stay for a while. In the meantime, visitors can take in the spectacular views of one of the most impressive natural spectacles. Among other visiting species, the most outstanding one is the Humpback Whale, which is considered the fifth largest species in the world. One of the best ways to spot the humpback whales is to hop on your own private Puerto Vallarta boat rental. Whilst on the tour under the guidance of an expert, observe whales jumping and flipping, and even hear their sounds, which is a moving experience. There are numerous places to take these tours along the Bay of Banderas, starting with Puerto Vallarta and reaching Punta de Mita, also beyond the bay in places like Sayulita and Rincon de Guayabitos. Click the most striking photographs of whales and lose yourself in the rich and exciting world of whales, dolphins, rays, and sea turtles. Boat rental in Puerto Vallarta is a wonderful way to experience the adrenaline rushing water sports activities. On board, you can hear the songs of the humpback whales, anglers can catch the most popular saltwater fish species in the world, encounter the spectacular underwater life while diving in the azure waters, or stop for snorkeling in the protected marine preserves along the way. Our private Puerto Vallarta Yacht Rentals provides comfort, privacy and full flexibility throughout your day. All of our boat rentals are equipped with fishing gear and water sporting equipment depending on the boat that you choose for your outing. Contact us at 702-401-4284 to book your boat rental for water-based activities. We can also do arrangements for your private yacht charter to help you visit Puerto Vallarta's amazing tourist destinations. Our luxurious yacht charters are perfect for enjoying water-based activities and visiting different beaches. To see some Destination Locations options click the link provided here.